Call us at (574) 842-3372 today. Welcome to Family Vision Clinic where the one-on-one attention we give every patient sets us apart from others in the field. Testing by technicians is kept to a minimum so you get Dr. Couts’ full attention for the entire examination. Screening for glaucoma and cataracts. Post operative care after cataract and refractive surgery such as LASIK. Emergency eye care for eye injuries and infections. Genetic testing to assess your risk of developing advanced macular degeneration. At FAMILY VISION CLINIC we are more than happy to support all of our patients– from young children to adults– and make sure that our patients are treated like family. 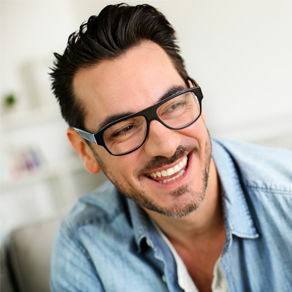 From the time you walk through our doors until your visit is over, our dedicated staff will help your with all of your eye care needs including choosing the correct frames and lenses to suit lifestyle. Kind office staff. Dr who took his time and great "bedside" manner. Great Doc & very helpful, friendly staff! Everyone here is terrific. Very Friendly and professional service. 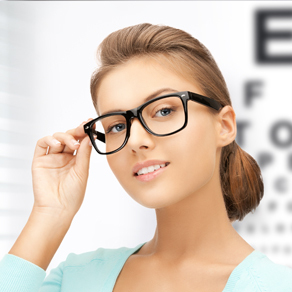 The people at Family Vision Clinic are friendly and knowledgeable. They have a wide selection of frames and Dr. Couts is the best!